Connecticut drivers seeking a stylish sedan that’s well suited for all their needs don’t have to look any further than the new 2015 Nissan Altima. Available now at our Nissan dealership in Hartford, CT, the new Altima has been completely redesigned to include a litany of driver-focused modern technologies and convenience features that will have you eager to jump-start your journeys. The 2015 Nissan Altima is as easy on the eyes as it is on the wallet. It’s designed to be more aerodynamic, in turn making it more fuel-efficient. When you’re driving an Altima, you can expect a return of up to 38 mpg on the highway, letting you squeeze up to 684 miles out of just one tank of gas: more than many competing cars in its class can offer. You won’t mind the extra time on the road between fill-ups either, as the Altima comes equipped with a luxurious cabin featuring NASA-inspired Zero Gravity front seats. Plus, you’ll love all of the Altima’s advanced technology that keeps you informed while minimizing distractions on the road, such as available Moving Object Detection and the NissanConnect infotainment system. The new Nissan Altima offers a lot that its competition simply doesn’t, all for a lower starting MSRP. 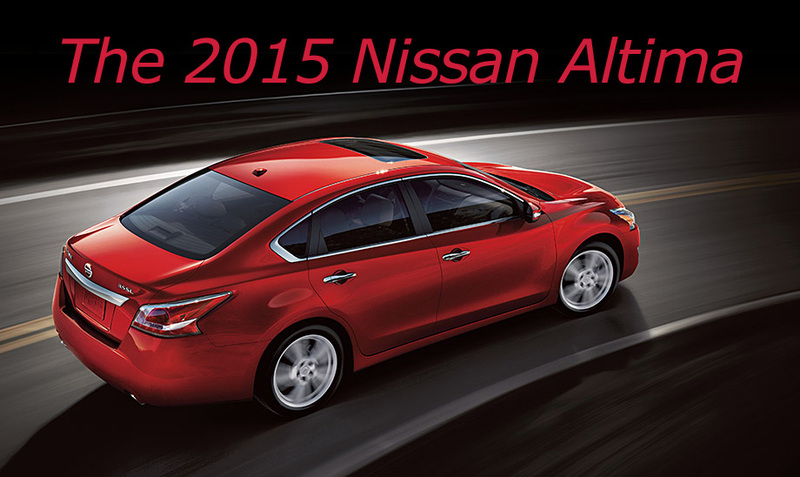 See what else you can get when you choose the 2015 Nissan Altima, then visit Harte Nissan and take one for a test-drive!